Alistair Duncan is well-known in Sherlockian circles for his non-fiction work. Beginning with an analysis of Holmes (and some other characters) both in the canon and on-screen in Eliminate the Impossible (London: MX 2008) continuing through Close to Holmes; The Norwood Author; and An Entirely New Country, Mr. Duncan continues to produce books that examine both Holmes and Arthur Conan Doyle in the context of their environments. Mr. Duncan is also very active in the movement to preserve Undershaw, home of the Doyle family from 1897-1907, and where The Hound of the Baskervilles was written and Holmes’ return from the Great Hiatus was recorded. I asked him a few questions about his books, life as a writer, and his views on Undershaw…. 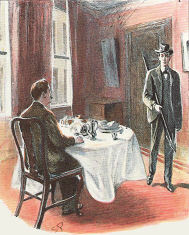 Many writers who are drawn to Sherlock Holmes start writing pastiche. Why did you choose the non-fiction route? I suppose I like to research and analyse facts and I have quite an analytical mind. This kind of mind lends itself towards non-fiction. For me it is like solving a mystery; you have to gather the facts, decide what is relevant, put it all together and arrive at a conclusion that pleases people. In some ways it is tougher than fiction as you have to work with facts; you cannot invent things to get yourself out of a hole. Which of your books has been the most fun to write, and why? The last two have been equally fun to write. The Norwood Author was fun because I knew I was breaking new ground and uncovering information that had not been widely seen (if seen at all). An Entirely New Country was fun for very similar reasons but also because it is part of a much bigger battle – that to save Undershaw. You’ve said in your blog that you don’t like Sherlock Holmes pastiches with a supernatural theme. Do you have any favorite themes? Pastiche books/stories? Any favorite authors? And why these? I don’t have any favourite pastiche authors as I don’t read that many. I also don’t have any favourite books for much the same reason. 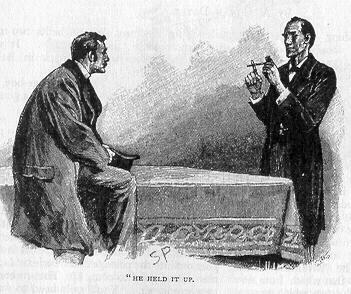 As for themes, I want pastiche stories that stick to Conan Doyle’s world. No fairies, no demons, no “Holmes is a wizard” and no interaction with characters from other stories (particularly those of other authors). In my opinion Holmes’s world is quite clearly defined and you should operate within it. However I accept that other people enjoy works that depart from the canonical world. Which do you enjoy more, research or writing, and why? Both; boring and concise answer I know but true. In your blog, you’re very open about the joys and tribulations of being a published author. What has surprised you (or not)? What do you enjoy about being published the most? What do you find more frustrating? Being published undoubtedly gives kudos. Your opinion, if your book is a success, tends to carry more weight than those of other people (even when it should not). However the flip side of the coin is that people tend to be more ready to attack you and sometimes do so in a nasty way. The internet has made this more possible and people can often be vicious as they know they can be anonymous. It is cowardly but one of the things you have to face. The most frustrating aspect is that if someone does decide to have a go at you it is not wise to respond. I have occasionally slipped and taken someone on but whether you are right or wrong it tends to do more harm than good to you as an author. So having to bite your tongue can be very frustrating. Have you found blogging and social media to be helpful to you as a writer? Do you prefer one over the other, and why? They are both helpful and help you to maintain a public presence even during those times when you are not working on anything. Twitter is a personal favourite as it is very easy to reach large numbers of people very quickly. The blog is a place where I can put a lot more information; so the two are used in tandem. I use Twitter to drive people to my blog where I expand on subjects of interest. Currently, the fate of Arthur Conan Doyle’s home, Undershaw is the subject of fierce debate. Why do you believe Undershaw is worth preserving? Where to start? Well it is the only home that is currently vacant and largely as he left it (with the exception of an extension). So much of significance took place during the time that he owned it. I would go into details but then you would not need to buy my book. Should the Undershaw Preservation Trust’s efforts be successful, what challenges will they face, and what support will they need? Well first you must understand that while I support the UPT I am not a member of it and am therefore not privy to its decisions and strategy. The UPT is only trying to overturn the planning consent. If that is successful the UPT has achieved its aim. In the event the house ends up back on the market, the challenge will be to find someone with both the money and the desire to restore it to its former glory. You’ve recently finished editing Phil Growick’s book, The Secret Journal of Dr. Watson for MX Publishing. Did you enjoy editing? What was it like to edit another writer’s work? I’ve edited before but never on that scale. The editing had two sides to it. The first was simply to look for spelling, grammar and punctuation errors. The second aspect was to ensure that it was canonically accurate. Fortunately Phil was not overprotective of anything that he had written and he typically followed my advice (although he did not do so without the occasional question – which was good). As a result we have managed to produce something that is already getting some nice praise. Editing someone else’s work is challenging because you have to remember that it is their book and not yours; if you don’t like the plot, characters or pace, you can advise but nothing more. So it has the potential to be frustrating at times especially if you invest too much of yourself in it. And of course we want to know about any future projects you have planned? Do you think you’ll ever make a foray into fiction? I’m toying with the idea of writing a couple of short pastiche stories but you won’t see them for a while yet. I’m far weaker when it comes to fiction and will take my time over it. Thanks for alerting me to Duncan’s books. I’m always looking for more to add to my collection. I enjoyed the interview.